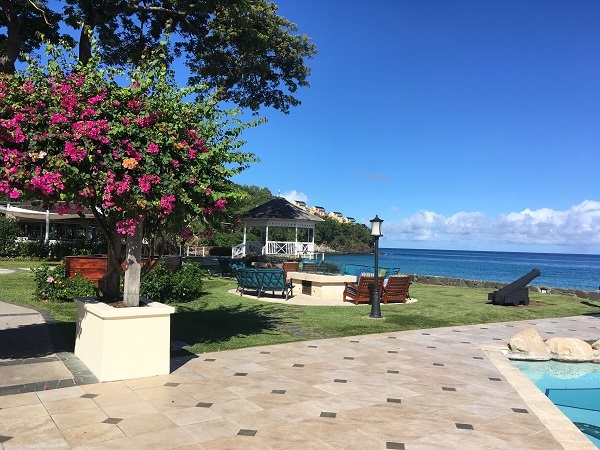 Leah Johnson, Sales Consultant at our Felixstowe travel agents, received a taste of the Sandals all-inclusive life when she got the chance to travel to Antigua and St. Lucia. Here is the low down from the amazing resorts she visited and things she got up to. Our outbound flight was with British Airways and we were very lucky to be upgraded to Club Class. This gave us flatbed seats along with a dining menu and afternoon tea featuring some especially tasty treats. As well as this, we were given upgraded "The white company" amenities that included a sleeping mask, earplugs, lip balm and a duvet to use in-flight. The entertainment screens weren't working at first, however, the cabin crew managed to resolve this efficiently. We flew between Antigua and St Lucia with LIAT. This was an okay flight. Complimentary drinks were served on board, even though the flight was only one hour in duration. The choice was limited to sprite, coke, ginger ale or water - but still wasn't something I would have expected. The flight was full to capacity. LIAT's cabin baggage policy seems to be quite relaxed as some passengers brought on a number of fairly large bags which did make it feel quite crowded. The configuration on these propeller planes is 2-2. I couldn't describe it as the best flight of my life, but it does work well - a twin-centre using LIAT for a short flight like this would make for a brilliant holiday. The return flight was with British Airways again and we were upgraded this time as well. This was a newer aircraft and the Club Class cabin was much bigger than on the outbound flight, with around ten rows of eight arranged as a 2-4-2 configuration. As it was an overnight flight, we made good use of the flat-beds. I would definitely recommend British Airways club class, especially for an overnight flight as you feel so refreshed when you land. The rooms here are all very spacious; the bathrooms are lovely with a large shower and a separate whirlpool bath, as well as his-and-hers sinks. I stayed in a Club room in the Mediterranean Village. 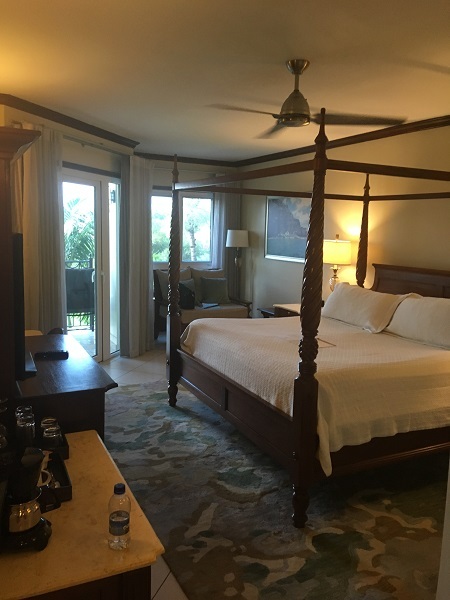 All rooms at Sandals Grande Antigua have four-poster beds and the decor is traditional Caribbean, with dark woods, in comparison to the more modern design of the St Lucia properties. There are several benefits of staying club level, one of which is the separate club lounge where complimentary drinks and snacks are served throughout the day. This is also where Club guests will check-in, resulting in a more efficient process. In their room, all guests get a fully stocked mini-bar which is replenished daily. Club guests also get large bottles of spirits in addition to this. The provisions for staying Club level are the same across all Sandals resorts. My room here was incredible and has recently been refurbished. I stayed in a Club room on the fourth floor, with a huge balcony. A lot of the various room types have almost identical interiors, which are modern and spacious. The bathroom is smaller here than in Antigua and doesn't have a bath. However, it is the outdoor space that really makes this room type special. The balcony was equipped with two sun-loungers, a table and chairs and a ‘Tranquillity soaking tub’. The dining options within Sandals Regency La Toc are really varied, from the more formal French Cuisine at La Toc Restaurant to fish and chips in the Cricketers pub and burgers on the beach at Neptune’s. You can also choose to dine at any of the venues within the other St. Lucia resorts as part of the exchange programme. Frequent shuttle buses run between the three resorts. Every time we dined at the resorts, we were asked if anybody had any dietary requirements, so I would really recommend Sandals to anyone that has food allergies. One thing worth noting about Sandals Regency La Toc is that the resort is the least flat of the three and to travel between certain parts of the resort there is quite a steep hill to climb. 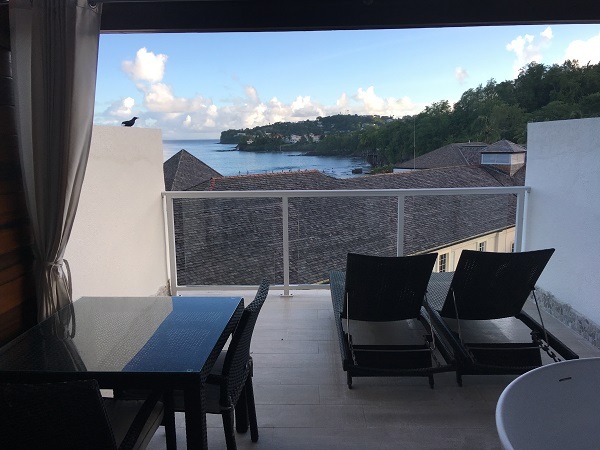 Any guests with mobility issues wanting to stay in St Lucia should consider either of the other Sandals properties for this reason. This hotel is much quieter than the two other properties. There is no high rise building and the whole resort has a really relaxed feel about it. It’s located in the middle of the three resorts, meaning the complimentary transfers to either resort take no longer than 20 minutes. 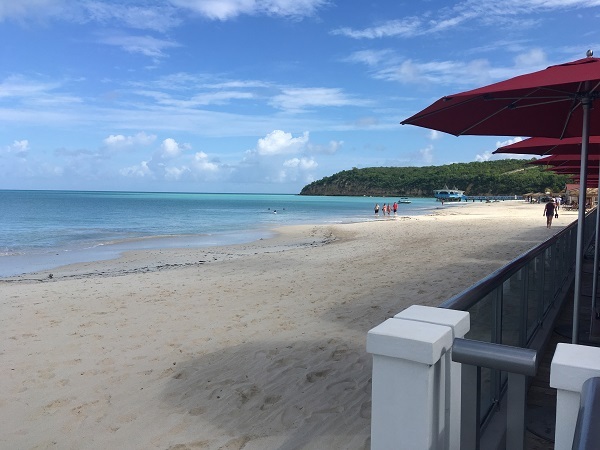 One thing that I really loved about Halcyon Beach is the over-water restaurant, Kelly's Dockside, which has the most incredible views over the Caribbean Sea. It was interesting to see the building work that is being completed here. They are currently renovating the Honeymoon Hideaway Village and this is being completed without the use of power tools- so disruption is incredibly minimal. This hotel had a really spacious, modern feel. It is located on what I felt was the most beautiful beach of all the resorts that we had seen. The decor here was the most contemporary, in both the rooms and public areas, and the resort was also the flattest we saw in St. Lucia. I would definitely recommend this resort to couples looking to get married in the Caribbean, as it has the newly added over-the-water chapel, which is a stunning venue. We had quite a busy trip, so the only excursion we got a chance to take was a full island tour of Antigua. This was laid on rather last-minute for us by Sandals' excursion partner, Island Routes. We were taken around in a fleet of SUV type vehicles and shown areas of interest in Antigua. It would have been nice to have possibly seen some of the other beaches in Antigua on this tour, as the island famously has one for each day of the year - but, unfortunately, this was not on the agenda. We did, however, get to pass through bustling St. Johns, where there was a huge number of local market stalls. We also saw some of the more residential areas in Antigua. The local Churches and Schools were all pointed out to us by our knowledgeable and friendly local guide. 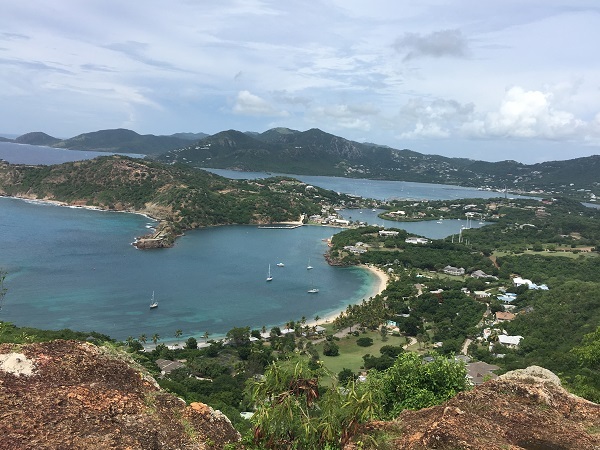 On this excursion, we travelled to Nelson’s Dockyard, where we saw some impressive yachts, and up to Shirley Heights for a spectacular panoramic view over the Island. The resort transfers allowed us to see a bit more of St. Lucia. As we had travelled on a domestic flight from Antigua, we arrived into the smaller airport in St. Lucia which has a very short transfer passing through Castries on a Saturday evening - it looked to be very lively. Returning home, the transfer took considerably longer as we were heading out to the International Airport. The transfers involved travelling uphill on roads that aren't as developed as we are used to – the views are spectacular but it’s best to prepare for a bumpy ride. A couple of the group needed some motion sickness tablets to recover. I wouldn't let this put me off going back; it’s just something to consider. Sandals do also include a number of activities that we didn't get a chance to sample. The activities offer something for everyone with various water sports, fitness classes, rum tasting and trivia to name just a few. 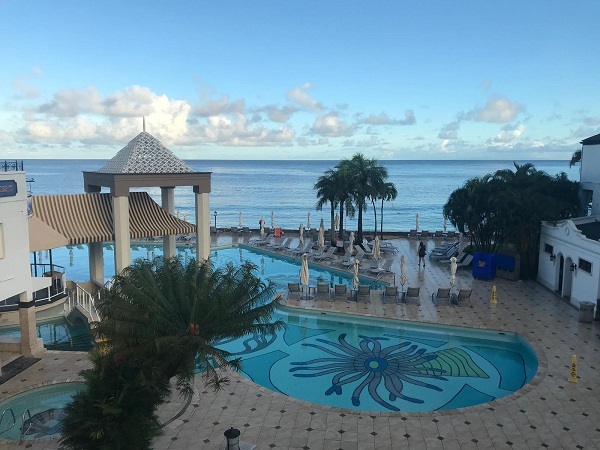 There is a full programme of events published daily; in the St Lucia resorts, this also details what is being offered in the other resorts as part of the ‘stay at one, play at three’ initiative. Spending time around the resorts really was the highlight of this trip. There is such a laid-back atmosphere at all of the Sandals properties and the settings are absolutely incredible. You can start your day with a chilled-out breakfast in a restaurant overlooking the beach. There are plenty of pools to choose from, with sun loungers around and swim-up bars to relax around in the afternoon. Then you have a range of gourmet level restaurants to choose from for your evening meal. It is the perfect environment for a totally relaxing holiday. I would absolutely recommend staying in a Sandals property; so much is included. With there being so many activity choices, bars and dining options, you have a real freedom which isn't always the case with all-inclusive holidays. I particularly think that the ‘stay at one, play at three’ exchange programme in St. Lucia is worth recommending. It just gives you so much flexibility with dining options and means that you are able to enjoy different pool areas, beaches and the facilities of each resort. This same arrangement is in place with three of the Sandals Jamaica resorts (Montego Bay, Royal Caribbean & Sandals Inn) and the two Sandals resorts in Barbados. It was quite surprising to see how mixed the age range of guests was. There were a number of younger couples, including wedding couples and honeymooners. Equally, a number of guests were retired couples and there were various ages in between. There is something to appeal to everyone really. Another thing that really impressed me was seeing the staff wearing badges saying ‘no tips please’. With it being a luxury-included resort, the gratuities are already taken care of and the staff don't let you forget that. 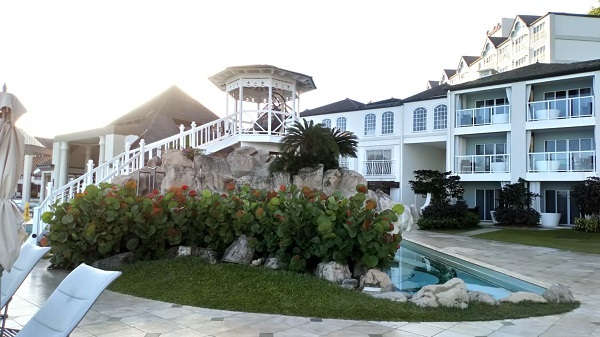 Overall, I was really impressed with my time at Sandals Resorts and my first experience of the Caribbean. I would wholeheartedly recommend both to clients. Must try? A Bob Marley Cocktail - they're so colourful! If you would like some help finding a luxury holiday like this, we can offer some invaluable advice and assistance. Visit any of travel agents in East Anglia or on the south coast to talk to the team today.